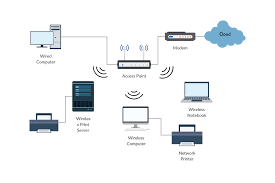 Gant Technologies have an array of data solutions ranging from basic internet connections to integrated fibre solutions. Our expertise includes CISCO certified engineers and network architects, for high level design and implementation. Recent partnerships have been formed with international IT hardware supplier Allied Telesis for supply of integrated voice and data solution hardware. We recentyl migrated Shepparton Newspapers from an ISDN network to a fully integrated SIP network, connecting all major centres and 25 smaller sites across northern and central Victoria. The solution is using NBN connectivity and Telstra's MPLS network solution. Gant Technologies was recently engaged to supply and configure a solution for a 250 new residential apartments in South Yarra. The solution was built on an optic fibre backbone. Each apartment was equipped with an Allied Telesis fibre conversion unit for voice and data output. Allied Telesis core and edge switches provided the basis for the backbone switching infrastructure, with a Packeteer packetshaper and Juniper firewall for security. An NEC 8100 was the basis for the SIP extensions to each apartment.